Red Cow Dairy is the leading provider of dairy products including Pure Cow Ghee in India. Mr. Narayan Majumdar, the owner of the firm and a dairy technologist himself thought of launching this product under their brand name. The company transformed from a partnership to a private limited company as the RED COW DAIRY PVT.LTD in 2008. Thereafter the company has been producing varieties in industrializing poly pouch milk distributor and different milk products. 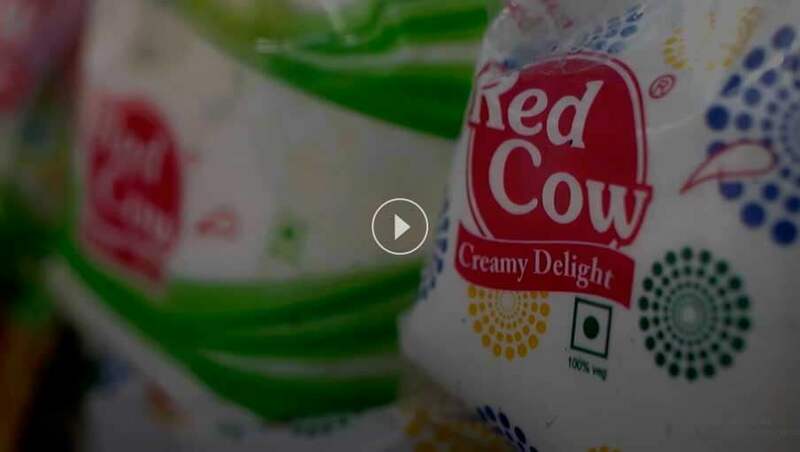 The supporter of Red Cow bought another product factory namely KOLKATA DAIRY PRODUCTS PVT. LTD. a delicate unit which of late is shaping up a life of more than 100 employees and their families by mechanizing milk and milk products of RED COW. How Is Ghee Prepared From Milk? Pure cow ghee is healthy, delicious and loved by people of all ages. Cow milk forms to be the staple ingredient of our product. Usually, ghee is prepared by simmering butter, churned from cream after removing the impurities from the surface. It is then poured to retain the liquid fat while discarding the solid residue, settled to the bottom. Depending on the preferences, spices can be added for taste. The colour, texture and flavour of ghee depend on the quality of the milk and butter used in the process. Even the duration of time spent boiling plays a major role. Whenever the word Cow Ghee comes the first thing comes to our mind is fat! Any fitness freak would have a panic attack hearing this. But this is the proclaimed truth. Cow Ghee is another dairy product which is directly inherited from milk so the nutrients and goodness of milk is restrained. The western culture is completely against the Ghee-culture since they believe it takes a toll of life in a negative way. But the recent studies done by dairy technologists have proved the myth to be absolutely false. Hence, the traditional thinking of growing healthy if you have clarified butter on a regular basis has proven its worth. The modern technologies have proved pure Cow Ghee is good for the brain and nerves. It contains high amount of omega-3 and omega-6 fatty acids which is beneficial for good health. On the contrary, if you do not have a habit of in taking these acids then you might get an attack of Alzheimer’s. So regular intake of pure cow ghee can make your brain function better! What makes the best cow ghee a popular choice for many is that it boasts of Vitamin A. This Vitamin A plays a crucial role in liver health, hormone balance, stamina and fertility. Ghee's fatty acids encourage deep hydration and have the ability to make even the driest skin soft and supple. Experts believe that the cholesterol in ghee is something which you should admire and not fear. By providing cholesterol through high-quality fats, ghee allows the body to help while addressing inflammation. Ghee can even be used as a hair conditioner. Using it can turn frizzy and dry hair into shiny, soft and manageable tresses. The basic ingredient for ghee would be milk fat which is of 99.7%. In our product we keep the value of sugar, carbohydrate and protein to 0%. The energy value is 897Kcal. Fat is 99.7g in total and vitamin A is 700mcg. The container used is well cleaned and secured with a thick layer of plastic body. Strong and best quality plastic is used so maintain the security of the product. The product is also available in all the sizes, starting from 100ml to as big as 5000ml. The product is best use before 6 months from the manufacturing date. Why you Consider Red Cow Dairy for best Cow Ghee? Freshly made ghee is delivered. The entire good nutrition is preserved in that one bottle of pure cow ghee. The container is of plastic unlike glass so that it is unbreakable and can be preserved for months. The lid is of plastic unlike iron which catches rust easily. Skilled professionals use their best knowledge in making the most refined cow ghee of the nation. Of late the firm has taken part to announce themselves as one of the largest private sector dairies in the eastern part of India. Company's procedure of obtaining milk, meting out and mechanizing differs from other companies. Red Cow dairy uses contemporary techniques and unified management to give the best quality of milk. Highly qualified and dedicated team of professionals work under the company who are assured to obtain and sustain a reputation for giving out quality Dairy products supplier in India by installing trained personnel along with abundant resources for trying hard to improve. Hence, it is called "a combination of trust and purity". Red Cow Dairy brings you the best and pure cow ghee in the most hygienic plastic & glass container. For further information about the product details you may call us at 03212-237004.